Blacksher Metals was founded in 2010 by my father, John Blacksher, Jr. I joined in 2016 after watching my dad do something he loved - own a business, enjoy helping people, and help design pre-engineered metal buildings. I joined in 2016 and love this experience. We understand that people and businesses are going to spend a lot of money, and we are NOT in the business of just making a buck. Dad and I love getting to know our customers and want Blacksher Metals to be known for people who care and make sure the customer’s needs are first and foremost. Dad and I understand what Warren Buffett said, “It takes 20 years to build a reputation and five minutes to ruin it. If you think about that, you'll do things differently”. We want people to enjoy their experience with us and we believe that’s what makes us different than our competitors. We hope you give us a call and see if we can help you on your dream building. 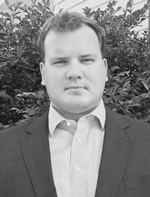 John is a native of Mobile, Alabama and graduated from the former UMS Preparatory School. He received his B.S. in Corporate Finance from the University of Alabama in 1983. After graduation, John returned to the area where he worked for his father, John Blacksher, Sr., at Government Street Lumber Company before starting his own homebuilding company. John has worked in the metal buildings industry since 1998 and in 2010, ventured out on his own to start Blacksher Metals. John has a wife, three children, and three grandchildren, all residing in the local area. John is a native of Mobile, AL, and graduated from Cottage Hill Christian Academy. After completing two years at the University of South Alabama, John enlisted in the United States Marine Corps, where he served for seven years and served in Iraq. John received his B.S. in Business Administration from American Military University in 2015. After spending time working for Southern Light as a construction coordinator, John decided to join his father at Blacksher Metals. 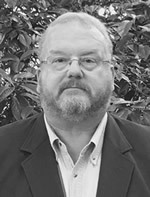 John has a wife and three children and resides in Daphne, Alabama.